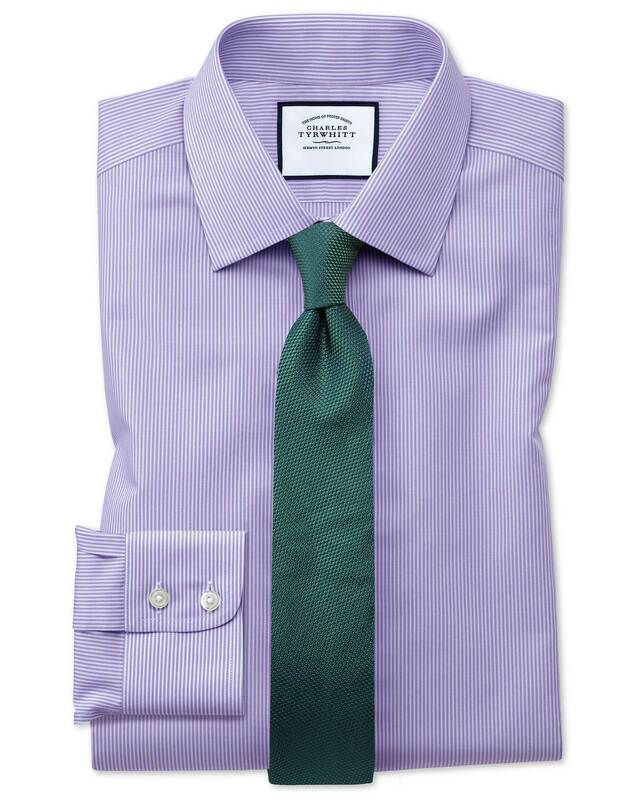 "Bengal-striped shirt made from light and breathable 100% cotton poplin with a non-iron finish." Marvelous shirt! The fit is perfect, as is the quality of the fabric and workmanship. Like the ability to customize the shirt, as I prefer French cuffs, and I like the brass collar stays. Great shopping experience. Terrific shirt fits well and looks good. See my remarks for the previous items.